I received Nothodoritis zhejiangensis seedlings from Tin and it stayed in the cube for about 4 months. He told me that I need to open it in May and either send it to lab or deflask them. I had to deflask them and it was today. 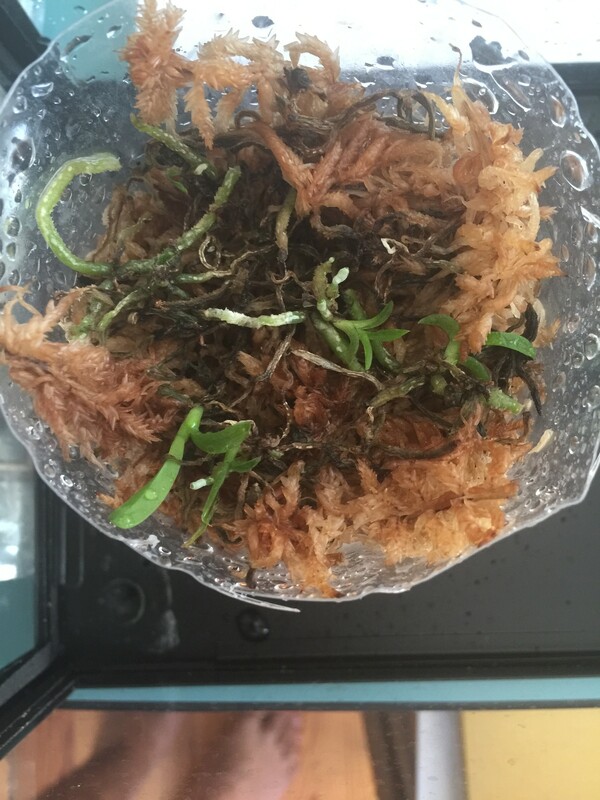 1) I used %50 spaghnum moss,% 50 perlite and a bit of lava rock for drainage. I looked to this page when creating it http://www.aos.org/orchids/additional-r ... iewed.aspx (Tin suggested me that plant would be better mounted but they are so tiny that I thought this is a better option because this page states perlite is good for aeration).Do you think is okay? 2) I used a 1 litre Coke bottle ( I made holes,checked drainage and also cleaned with hydrogen peroxide for sterilization). 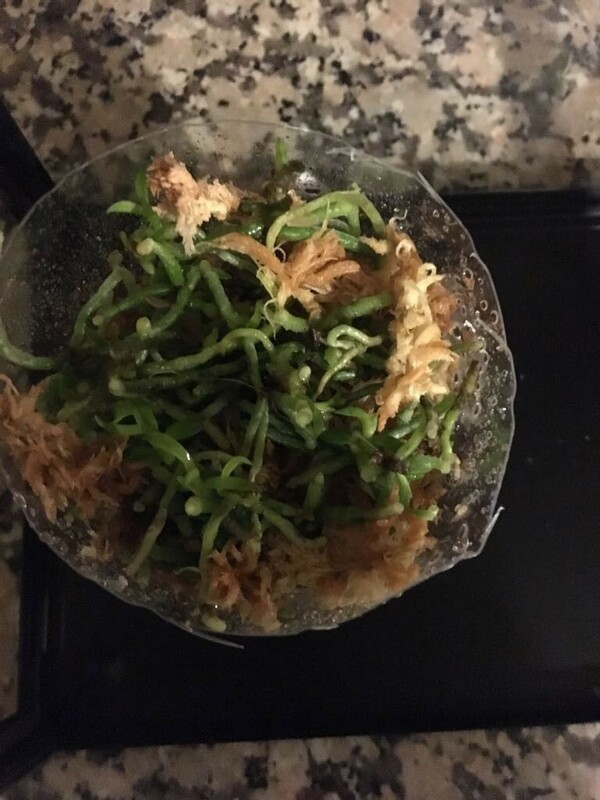 In the picture, you might see that the seedlings are too tight, they are almost right next to eachother, some of them sitting on top of the other. Do you think I should prepare another media or since they are tidy is it ok? 3) Some of seedlings end with black. Do you think I should worry about this? Only the very bottom part of them are black. As a side information some of them are roots and some of them are really really tiny versions of a big plant, definitely not in protocorm stage (like the very tiny version of a normal orchid). I placed the orchids to an aquarium and covered it with newspaper for airflow. To increase humidity,I use humidifier at the same room and also put a glass of water. Thank you for taking your time to read this.I really appreciate your help. Having never grown this species, I will leave the cultural advice to our highly capable friends here. I will suggest this, by way of comfort: you seem to already have one of the best "cultural" practices that will help your chances a lot. You are observant. Whatever approach you follow with the compot from here on, just keep your eagle eyes on it so that, if something does go wrong, you will be able to respond immediately, without having to play too much "catch up." Depending on the advice of growers with experience in this species, you might consider removing a few of the larger plants and mounting them; this way, you are using two approaches. Sometimes, flasklings do grow better when crowded -- at first -- but then, when it comes time to separate them, it can be a real challenge and lots of damage can be done to the roots, no matter how carefully and slowly you separate. I was wondering what would you suggest me to do. Repotting or just keep watering regularly. I noticed some of the dead seedlings that are black with a smell.Does this mean that I should change the substrate? Or would it be causing more damage? It depends. Take your pick. You can treat for fungicide or bactericide. I would let the substrate dry out - wet will cause them to multiple and spread quickly to other plants. The other choice is to repot with fresh media. Understand that it will cause stress to seedlings. charlaux, how are they doing now?